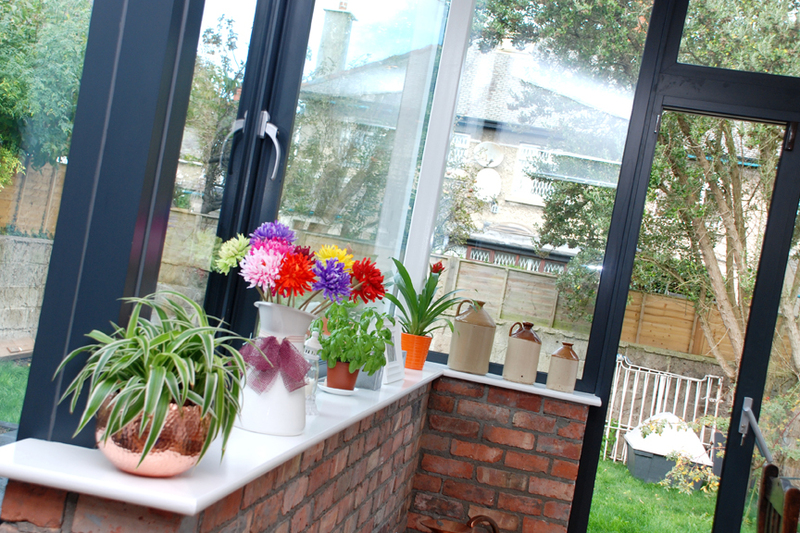 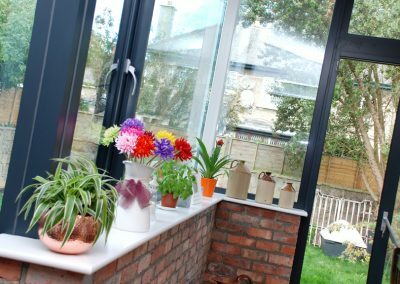 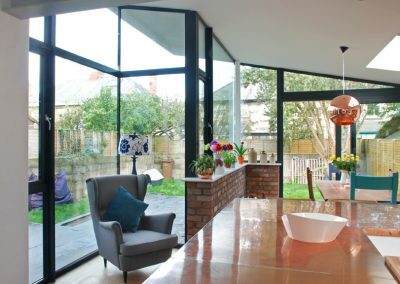 This renovation and extension project completed transformed a cold dark semi-detached house into a highly insulated, spacious, light filled home. The mono-pitch highly insulated envelope of the extension folds around to create a sculptural form. 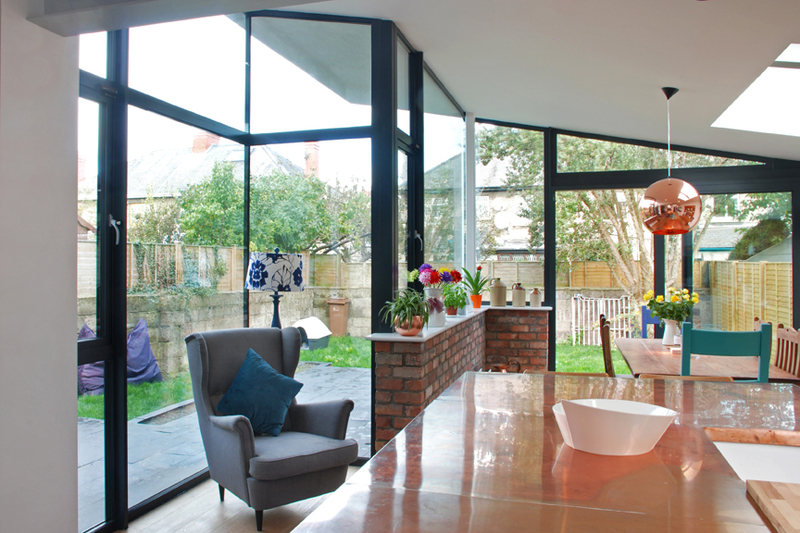 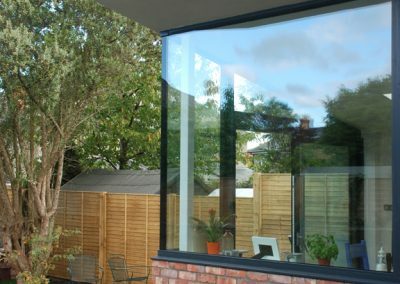 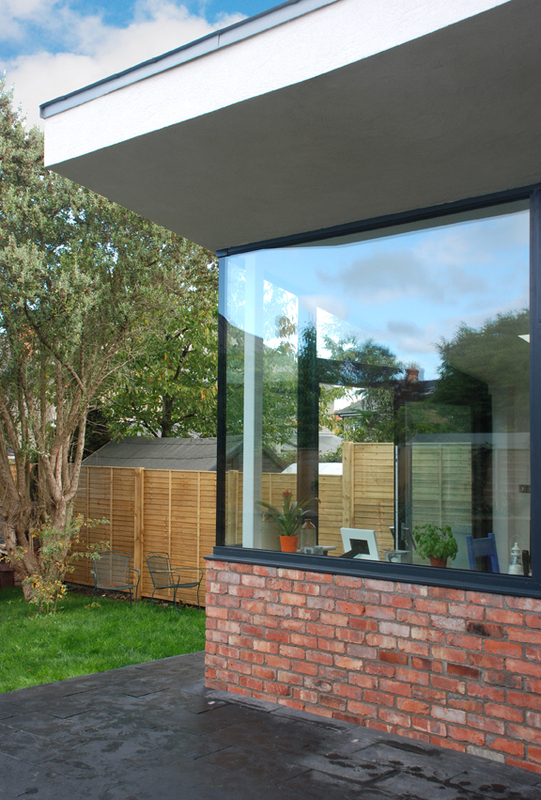 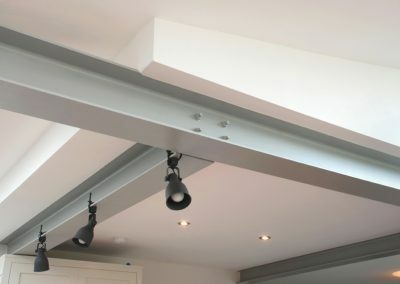 Floor to ceiling glazing to the extension enhances it’s connection with the outside spaces and give the perception of a larger space than actually exists. 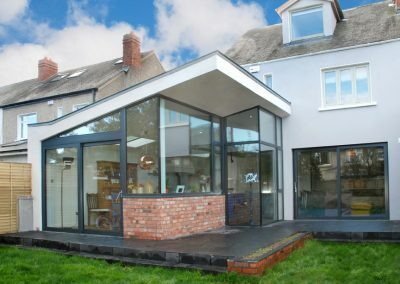 The shell of the extension has been treated in a very contemporary way. 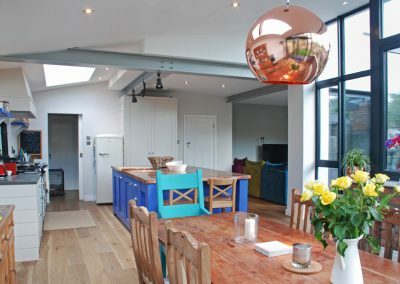 However inside rustic elements like an AGA and Oak flooring are juxtaposed with very modern features like exposed steel, copper counter tops and industrial windows frames. 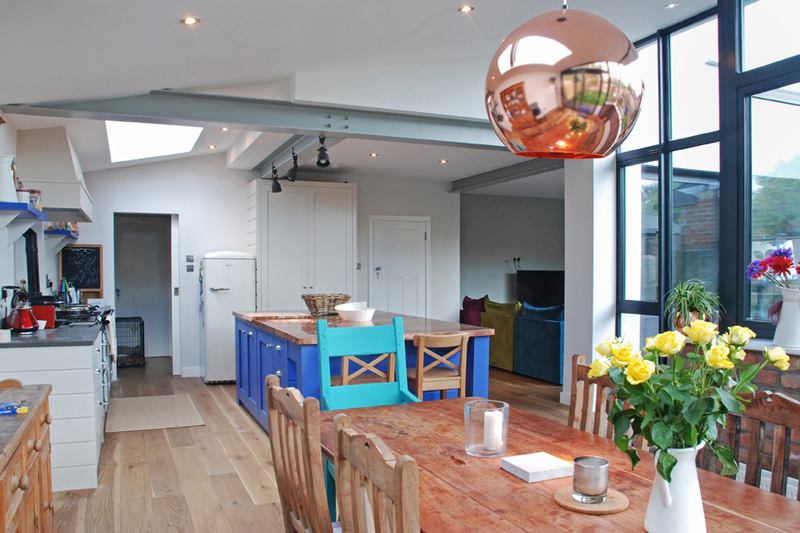 There is a richness to the space is a feast for the eyes at every turn.